FREE Pamper Event for Moms Aug. 21! But I know my job isn’t going to get any easier… from around-the-clock feedings and diaper changes to (in just a few years!) bustling them around town for social and school activities. Moms do a lot for their little ones and that’s why my team at Cincy Chic and I host an annual “School’s Back, Moms Relax” event to give moms the opportunity to kick back, relax, and enjoy a night with their other mom friends (or just themselves!) for once now that the kids are headed back to school! This year, we’re hosting it at the Elements Event and Conference Center, which is owned by my friend Nidhi (she does Afterhours Bridal shows I’m always telling you about). We’re holding it there this year because it can house SO many more vendors (better to pamper you with!) and showcases the runway fashion show so much better! 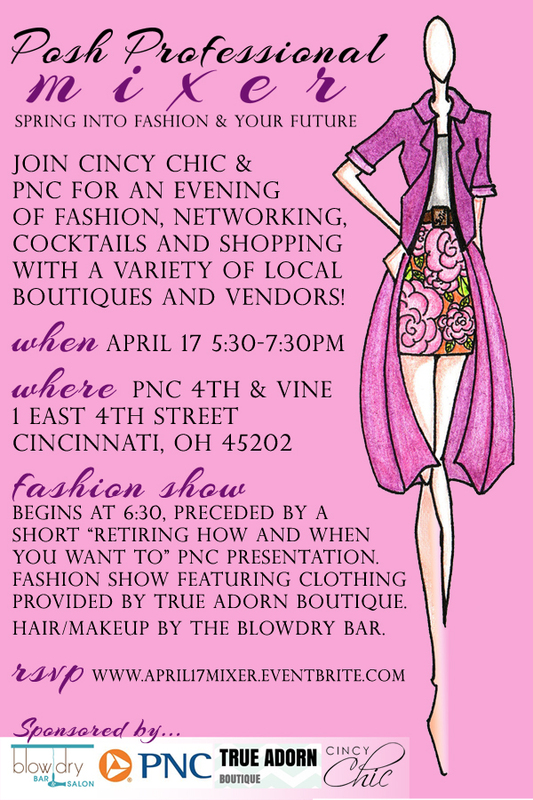 This year, the fashion show is going to feature the latest fall trends from Pink Tulip Club and the hair/makeup will be by The Blowdry Bar…. so excited to see it! We actually had our first event there (New Year New You – check out the pics here) in January and it was a HUGE success… more than 50 vendors and 600 attendees! 2014 School’s Back, Moms Relax! The kids are back to school, so grab your momtourage for an evening of fun! Enjoy complimentary salon/spa services, wine provided by Fancy Pants, light bites, shopping with local boutiques and vendors, meet and greet with local mom bloggers, and enjoy a runway fashion show to see the latest fall trends. Plus, all attendees will receive a free reusable tote bag filled with swag!